Easy and Fun Fundraising Ideas For The Classroom! Thank you for your interest in involving your class in fundraising for the Easter Seals Ambassador Tour on Prince Edward Island. This web site section has been designed to make it easy for you to come up with easy and fun fundraising ideas for your classroom! 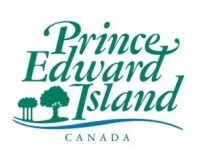 For regular updates on the campaign, please follow us on Twitter or like Easter Seals PEI on Facebook. Here’s a list of some ideas of what other students have done to raise funds for Easter Seals! Let us know what you’re up to and we can post your ideas on Twitter or Facebook! Dress-up days, students pay $1.00 to dress up for the day. Have a Bake Sale, or set up a Lemonade or Popcorn Stand. Make posters and let people know you are helping children with disabilities gain abilities. Fill The Jar: Fill a jar with jellybeans or smarties and have your friends pay to guess how many there are in the jar. The money raised will help Islanders with disabilities and the winner wins the candy! Have a ?ATHON – Walk-a-thon, Skip-a-thon, Hula Hoop-a-thon: Choose a date and a place/route, contact us for pledge forms, and make some posters. Have everyone who wants to participate ask for donations or pledges using the pledge forms. Band and choir concerts: Ask your school band or choir to donate their time by performing a benefit concert for Easter Seals. Ask for a donation for admission to the event. Provide a service for donations: Rake leaves, take care of a pet and ask the person who benefited from your service for a donation towards Easter Seals. Have a birthday party! Ask your parent’s first. Invite your friends to your birthday party and instead of bringing a gift they could make a donation to Easter Seals PEI in honour of your birthday. Challenge a team at another school to raise funds and compete. The winning team gets to present the funds to the Ambassador, and most of all, gets bragging rights! Here’s an easy and fun fundraising idea suitable for any school or other organization with different classes or groups to set up some competition. It’s called a coin drive. Each class or team competes against the all others. Each class decorates a large jar for their collections. The jars are set up in some accessible place, perhaps outside the school office. Be sure to arrange proper safeguards as necessary. The idea is to earn the most money for your class. Dollars count FOR your class. Once the competition gets going, you can raise quite a bit of money in small change, adding coins to your own jar or silver to competitors. It’s great fundraising fun! Every class can be a winner. For example, last place classes get ice cream cones as prizes. The Second place class receives a sundae with whipped cream, syrup, bananas, the works! The class in first place wins a pizza party and sundaes! Fundraising Variation 1: Have the whole school bring in their spare change and keep track of it somewhere (maybe 5 gallon water jugs in the Principal’s office). Think of a way to get people competing for weight of coins or the amount. Allow people to put in bills, but take them to a bank and get change. Have a huge change counting party. (A goal may be 5 pounds of change per youth, or the Easter Seals Ambassador’s weight in change). Fundraising Variation 2: Divide your group into two teams. Give each team a large container and tell them that the group with the most coins in their container one or two weeks before the event will be declared the winner. The losing team must serve the winners at a special dinner in their honor. The two teams can get coins from anyone (people in school, parents, friends, etc.). You can decide if you want to call it a Loonie collection for Easter Seals (or any other coin – nickels, dimes, quarters, toonies) or a Loose Change Collection.